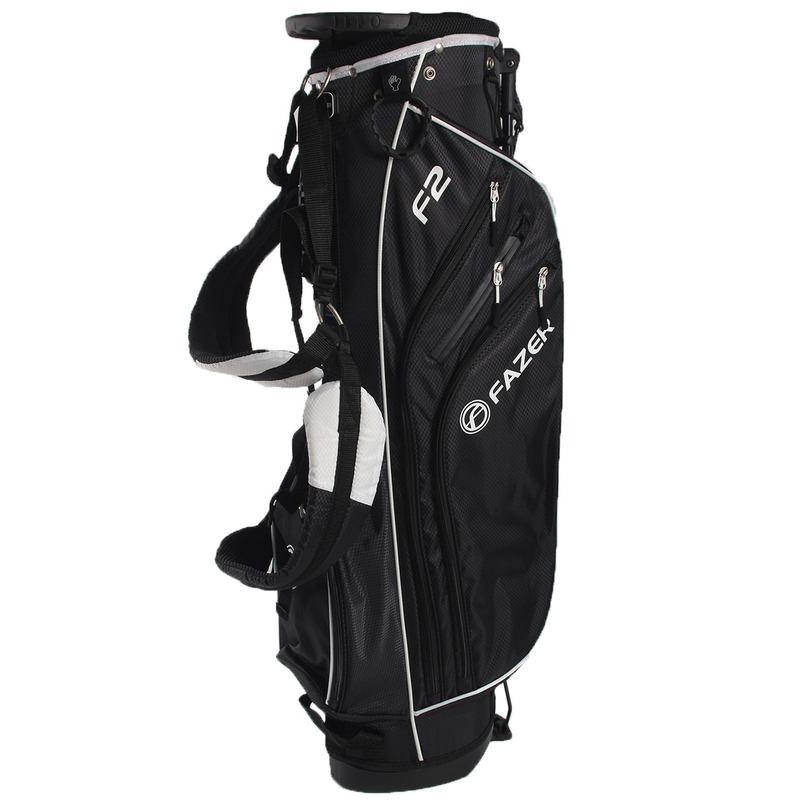 The F2 Mini stand golf bag has been produced with lightweight nylon materials, that offer further comfortability and help to reduce overall fatigue while out on the golf course, meaning you can perform to the best of your ability. 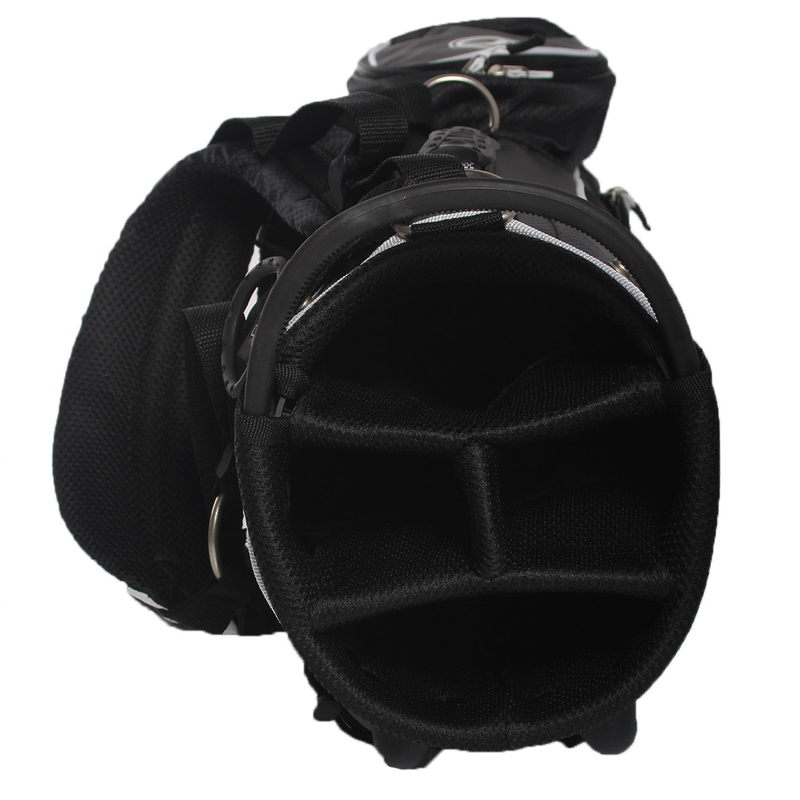 The bag has been designed with a moulded handle for easy lifting on to your designated mode of transportation, whether you decide to carry your bag or place it on a trolley, this is a fantastic bag for every golfer. 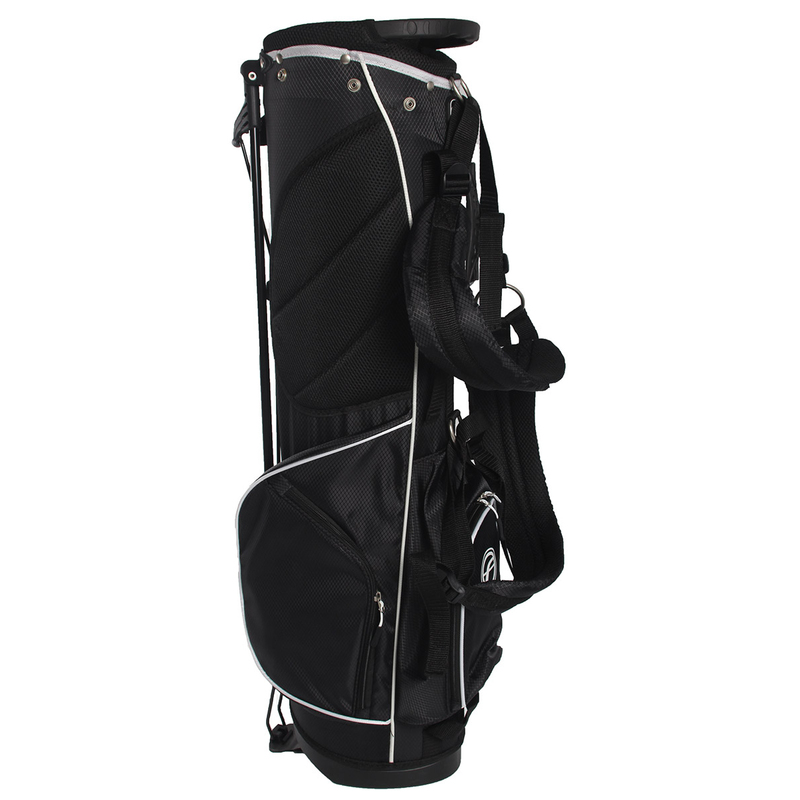 Keep your golfing essentials with you while you play, thanks to the 5 zipped pockets. The bag also features a waterproof valuables pocket so you can keep your valuables safe and secure while playing your round of golf. Other features such as a towel ring with Velcro glove attachment, along with an umbrella holder, and tee sleeve, all help to assist you around the golf course with ease. For increased weather protection, the bag also features a rain hood, which helps to protect your clubs and keeping them safe and dry. The bag also features padded dual shoulder straps for an evenly distributed carry and helps to provide further comfortability.